In this tutorial you are going to learn how to share google reader folder which can be a great way to share some of your favorite feeds with friends. 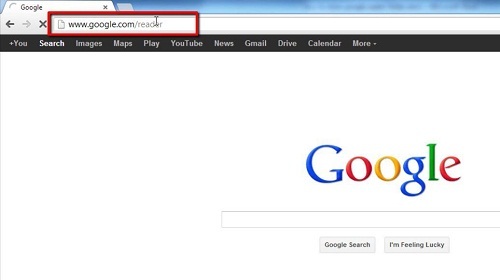 Navigate to the Google Reader website at “www.google.com/reader” and log into your Google account. In the bar on the left hand side of the screen you will see your “Subscriptions” and the folders within that group. As you can see here we have a folder called “News” – this is what we are going to share. Hover your mouse over the folder and you will see a drop down arrow appear on the right, click this. In the menu that appears click the “Create a bundle” option. A window will appear and you should add a description for the folder, here we are just describing it as “A news folder”. Click “Save”. 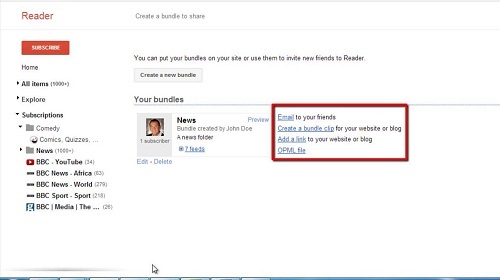 You will then be shown the bundle you have created and you can see several options for sharing it on the right. 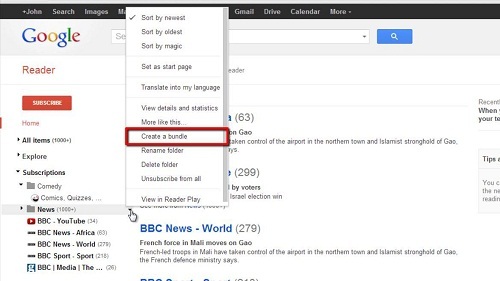 Select any one of these to share it with others and that is how to share google reader folder.